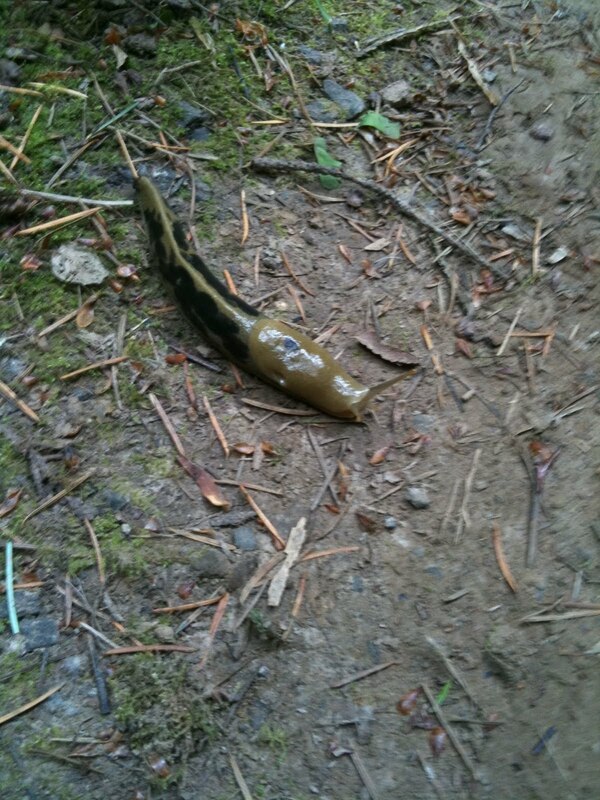 I've been in Portland for a while attending a family reunion. We went on a "walk" called the 4T. Where the "T" stands for Train, Trail, Tram & Trolley. Total mileage was around five or so of actual walking. 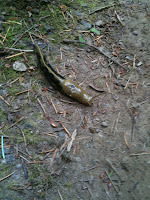 This was a familiar site during the walking section. The trail was fairly well marked and we had a good turnout of around 20 people though the number of hills were beyond peoples expectations. We started in downtown and caught the light rail to the zoo. 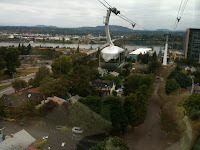 We then started the five mile walk towards the Oregon Health Sciences University (OHSU). Mostly in the woods, sometimes it felt like we were walking through backyards and there were a couple of times we were walking down busy streets. 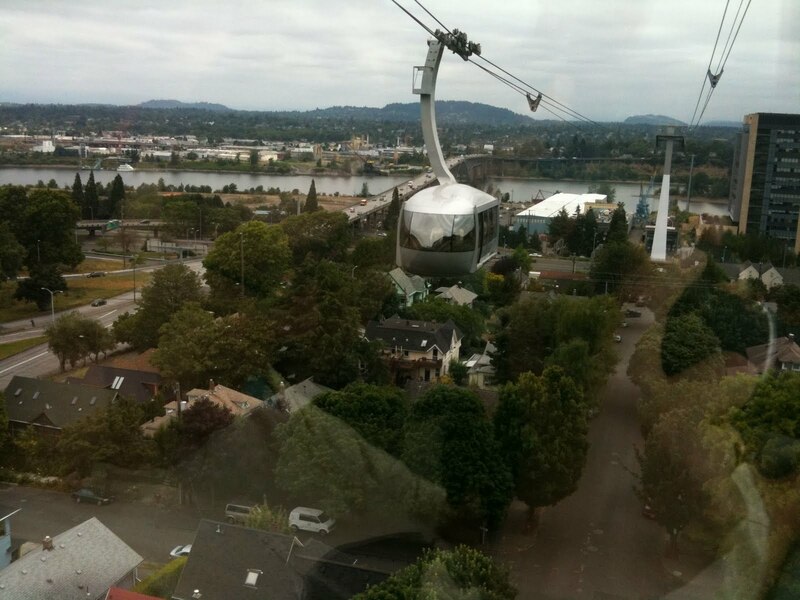 At OHSU, we caught the tram which ran right over I-5. The trip was planned in this direction since the tram is free going down (they charge $4 to go uphill). At the bottom, we caught a street car back to downtown followed by the light rail back to our hotel stop. If you're ever in Portland, try out the 4T. 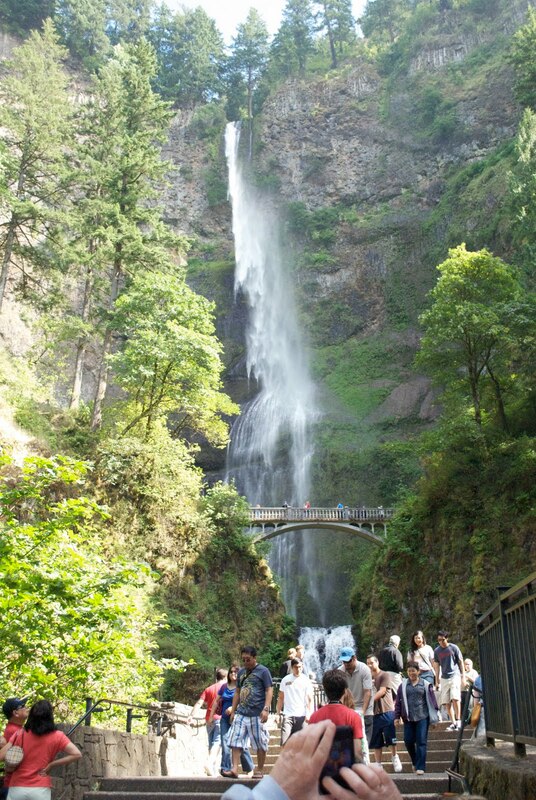 As part of the reunion, we also stopped at Multnomah Falls. 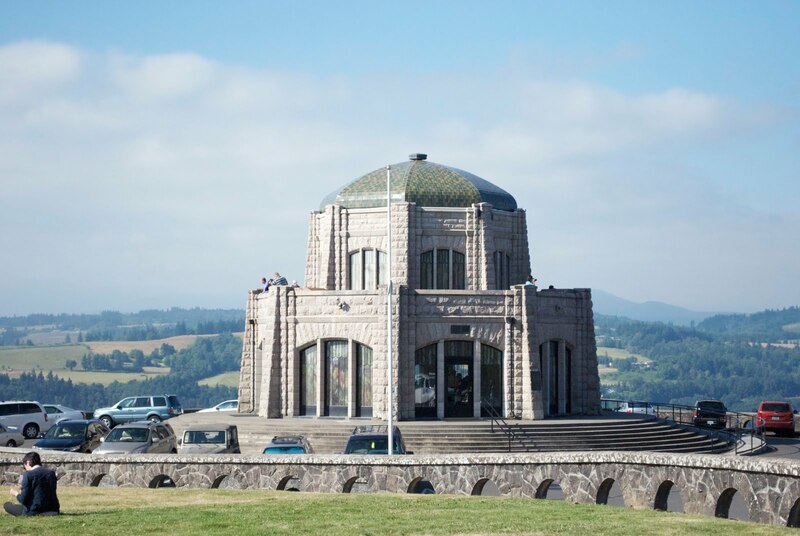 That's the Vista House at Crown Point.